Those Secret Recipe people harboured a secret. To open a chain of health food places that specialise in meatless menu. The Beyond Veggie restaurants are now up and running with several outlets in Klang Valley. Photographed here is their Spaghetti Carbonara with shiitake (and other) mushrooms. The vegetarian noodles tasted like white Penang Hokkien Mee but is delicious. Most dishes are a bit pricey but portions are generous. I love this cafe at Oasis Square for the al fresco dining experience by the lovely fountain pool. Olympus OM-D, ISO 200, f4, 1/60 sec. 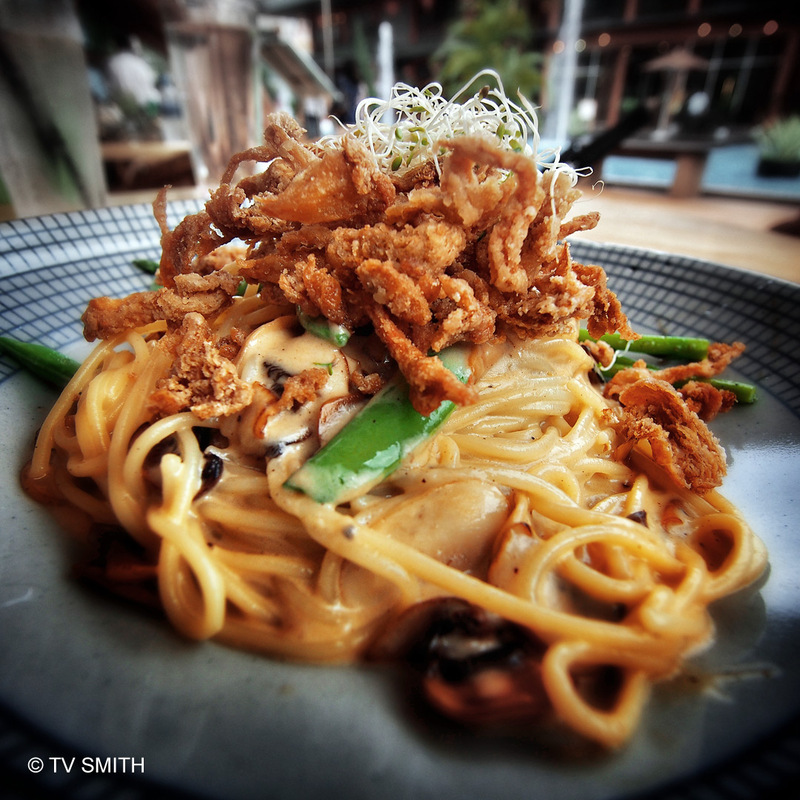 This entry was posted in Food, Instagram, Olympus OM-D, Photography and tagged beyond veggie, dining, eating out, food photography, italian food, oasis square, spaghetti, vegan, vege, vegetarian, western food by TV Smith. Bookmark the permalink.